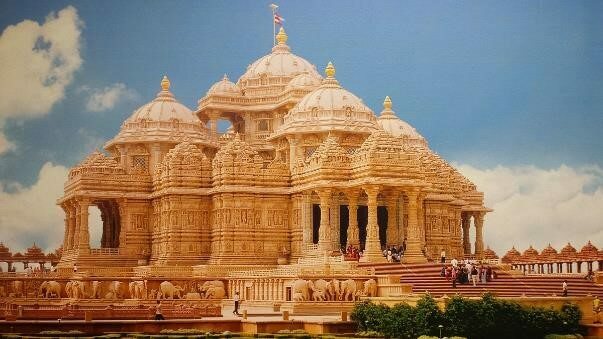 The Hindu Swaminarayan Group’s Akshardham Temple, Delhi, is considered one of the modern wonders of the world. Inaugurated in 2005 but created using ancient techniques, the lavish sandstone and marble temple sprawls over 100 acres and features ornately carved pavilions and pillars, a plinth of stone elephants and some 20,000 statues. There’s also a Monument to World Peace, an Ayurvedic bazaar and the centrepiece is a three metre high gold statue of Bhagwan Shri Swaminarayan. This excursion will give you plenty of time to explore the temple’s many wonders. The Akshardam Temple complex includes a boat ride through 10,000 years of Indian history, animatronics telling stories from the life of Swaminarayan, and spectacular musical fountains. 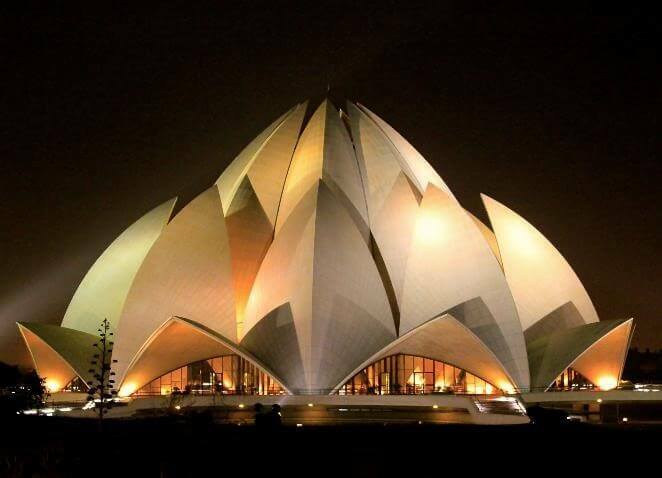 The next stop on this fascinating day tour is the Lotus Temple. Since its completion in 1986 as a Bahá’í House of Worship, the Lotus Temple has become one of the most visited religious buildings in the world. 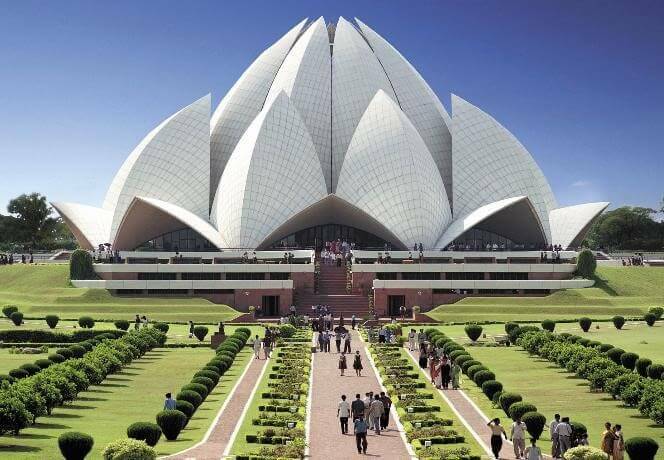 The temple is made of pure white marble and the striking design represents a lotus flower; a symbol that has significance in the Hindu, Buddhist, Jainist and Islamic faiths. IMPORTANT NOTE: Cameras and mobile phones are not permitted in the temples and modest dress is required. Please note: All optional excursion descriptions represent a typical itinerary and will not necessarily operate exactly as outlined. Distant Journeys reserves the right to change the local operators at short notice if deemed necessary and appropriate.